Minstrels are musicians who play magic songs which allow them to communicate to the souls within all living things. They are able to establish connections, and even curry favor with these spirits. 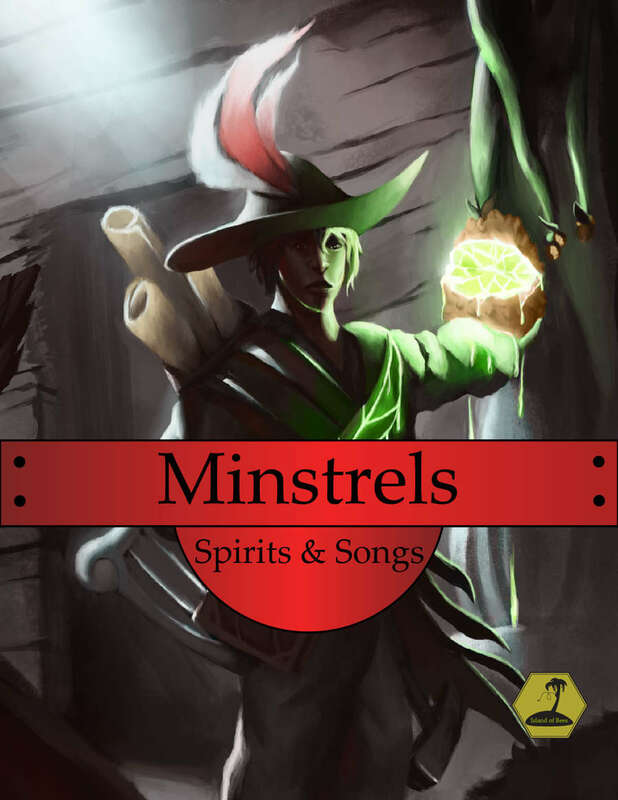 This module contains information for Game Masters and Players on how to be a Minstrel and communicate with the spirits of nature. Learn the types of spirits that exist and what kind of powers they possess. Learn of the various ways one can curry favor with these spirits, and what kind of personalities they may have. Discover and gain the favor of animal and wind spirits! Use music to call a river spirit to wash away your enemies, or a Mountain spirit to create an avalanche! Just one of many options as a Minstrel!